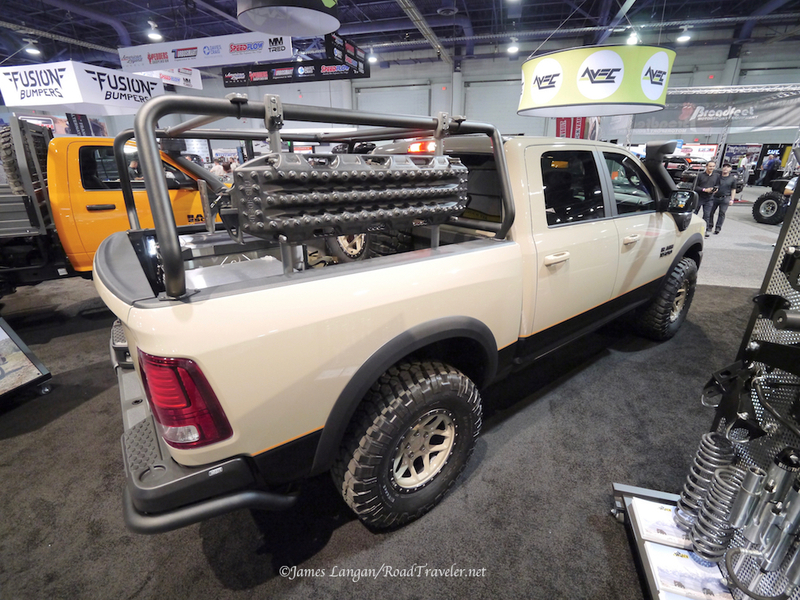 My 2017 Overland Expo West coverage in TDR 97 included photos and prose about AEV’s new 4” DualSport suspension for 1500 Rams. 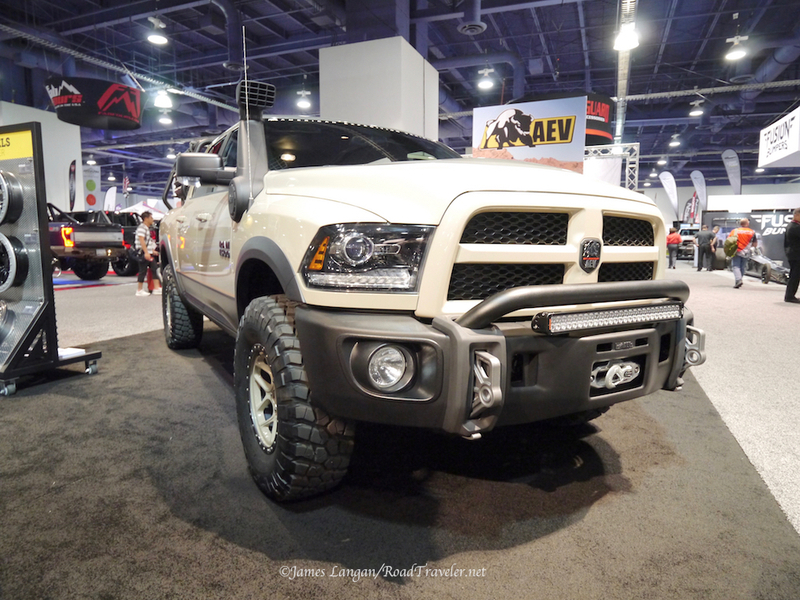 However, the light was challenging and sometimes it’s difficult to show parts installed on a truck. 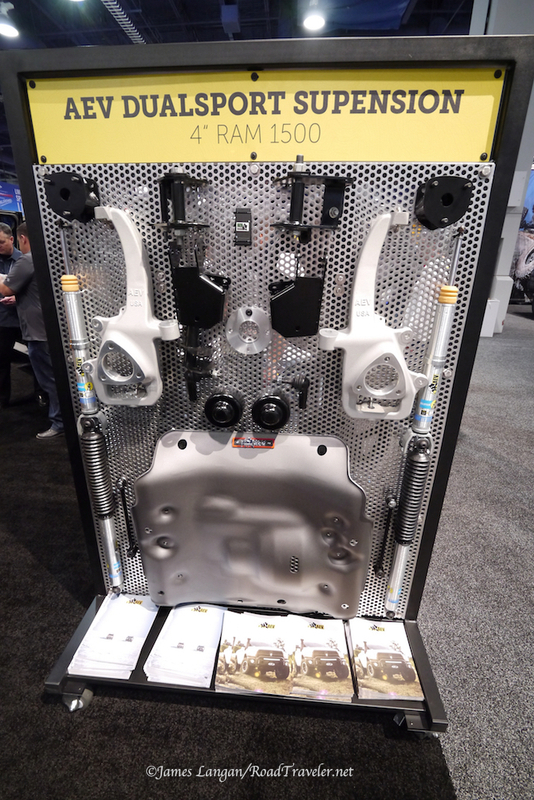 AEV displayed a 20th Anniversary Recruit with the DualSport 1500 4” suspension at the SEMA Show, and also had the kit mounted on a board for closer inspection.